Toppinos Reef has gone by different names over the years including Marker Reef #1. That number has been changed, and for those who prefer to call it by it's marker name, it's now Red 32 or Marker Reef #32. These names however don't do justice to the beauty of this Florida Keys coral reef. In fact, it has long been considered one of the areas more interesting and attractive dives sites, due to it's depth and beauty, for anyone Florida Keys snorkeling or shallow diving. Here you can enjoy amazing displays of towering coral and numerous colorful, tropical fish. Plus the navigation marker has a light, so this makes a good dive trip for anyone scuba diving Key West at night. 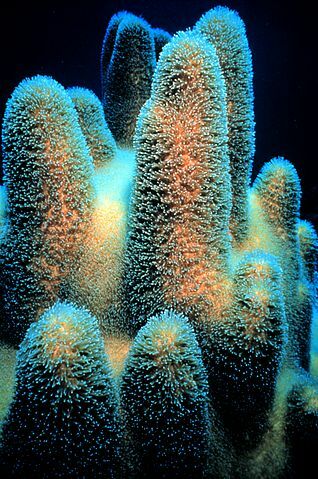 The area is well known for it's towering coral fingers. These attract numerous varieties of tropical fish who feed off the algae growing on it's surface. The channels and canyons found within these fingers also provide a protective habitat for these different species of Florida fish. The end result means anyone diving Key West or snorkeling Toppinos Reef, can enjoy one of the areas more interesting and attractive coral reef structures. Scuba diving Key West at night can be a lot of fun, and it gives you a different perspective of life in the sea. The fish will be resting and the coral will be feeding. The canyons and crevices may seem more looming. The area will take on a whole new look and feel as the lights from the moon and marker shine through the water to the structures below. 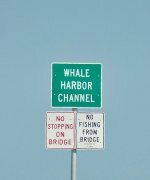 Since this great Key West dive site is only about 4.5 miles south of Boca Chica channel, it's not a far distance to travel either. That means if you get in the mood for a moonlit dip, Toppinos Reef is one place you'll definitely want to explore.